A common misconception held by people in the United States and broader western world is that there is no freedom to practice religions other than Islam in majority Muslim countries. The reality is this simply isn’t the case. There are many houses of worship for the Abrahamic faiths across this part of the world and while the media may claim high levels of religious intolerance, traveling in and being a part of these communities shows us this isn’t true. 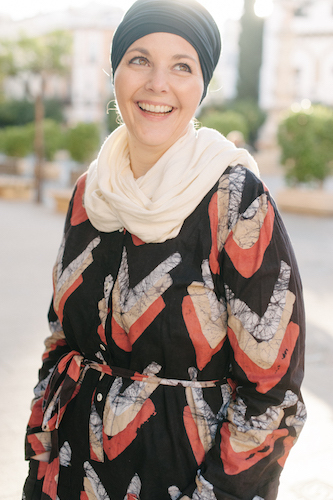 I asked several travel bloggers to share their experiences visiting houses of worship that were not mosques when they visited a Muslim country. These inclusions are only a handful of what exists. This ancient Caucasian Albanian Church lies in a village of Kish located just 30 minutes away from Sheki, a town in Azerbaijan’s Northeast about 4 hours drive from Baku Azerbaijan. 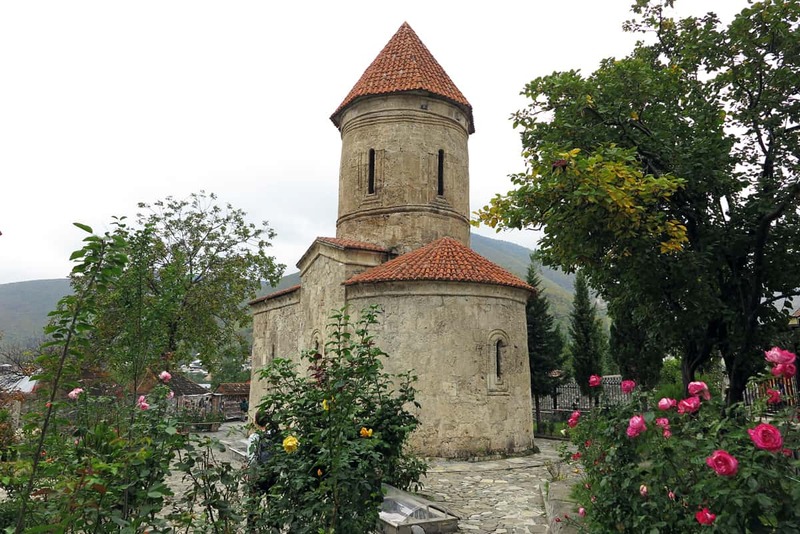 Also known under the names Church of St. Elise and Holy Mother of God Church, it symbolizes the arrival of Christianity to Caucasus over 2,000 years ago. It was built in the 12th century and has remained extremely well preserved till this day. The land it stands on used to be called Caucasian Albania (nothing to do with today’s country of Albania) until the 8th century when Arab conquest happened and Islam spread in the territory. 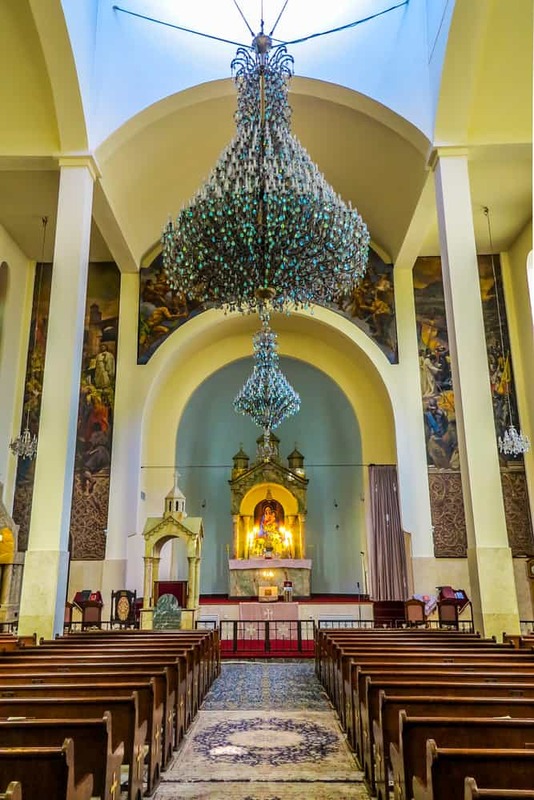 Madaba is renowned for its ancient churches and Byzantine mosaics, many of which were only uncovered in relatively modern times. The undisputed crown jewel is the mosaic map on the floor of St George’s Church. St George’s Church is an attractive 19th century Greek Orthodox church. However, its real hidden gem pre-dates the modern church by well over 1000 years. During construction, the Christian builders discovered that they were building on the site of an ancient Byzantine church, and located a mosaic map of the Holy Land beneath the church. 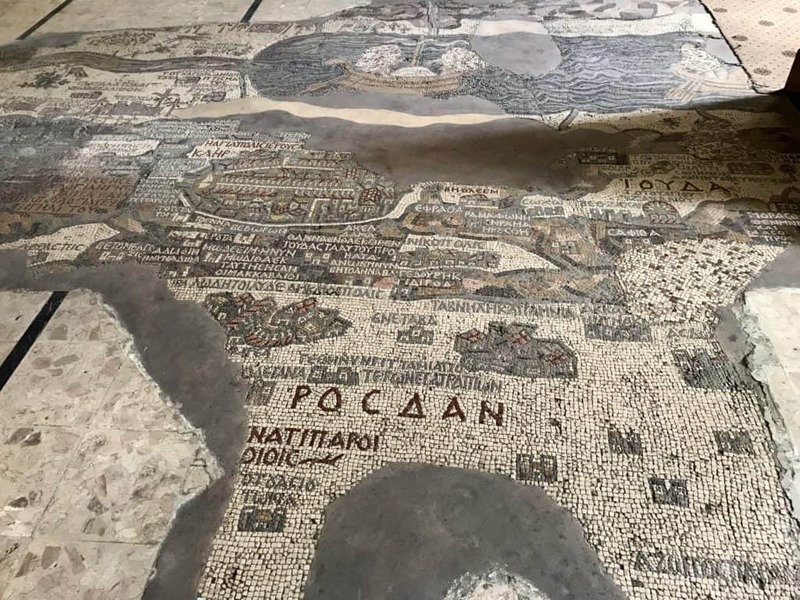 The church’s mosaic map dates back to the 6th century AD, and is the oldest known map of Palestine. The map depicts major biblical sites in the Middle East in intricate detail, from the city of Jerusalem to the rivers, seas and mountains of the region. Right in the middle of the hustle and bustle of Tehran is where you’ll find the biggest and most important cathedral of the city of Tehran. The Saint Sirkis Cathedral was built upon the donation of Gurgen and Vasgen Sarkisian and became the main Armenian prelacy of Tehran after its completion replacing the Saint Mary Church. The church has a rather humble exterior with two belfry domes and a grand hallway leading to the altar. After its completion in 1970, it has become the main gathering point of the many Christians of Tehran. Saparua Island in Indonesia is part of the Maluku or Molucca region of Indonesia, also known as the Spice Islands. Located a short boat ride away from Ambon, this island has a checkered history due to the value of the spices. On this small island is the village of Sisori, and here you will find the Christian church, Louhata Damai Church. The irony is that the church sits very close to a very ornate mosque. The village has both Christian and Muslim sections, and in the past they did not get on. Now, they co-exist harmoniously. We were told that the advent of the cell phone made sorting out differences that much easier. Kyrgyzstan is a predominantly Muslim country but has a strong tradition of religious tolerance. 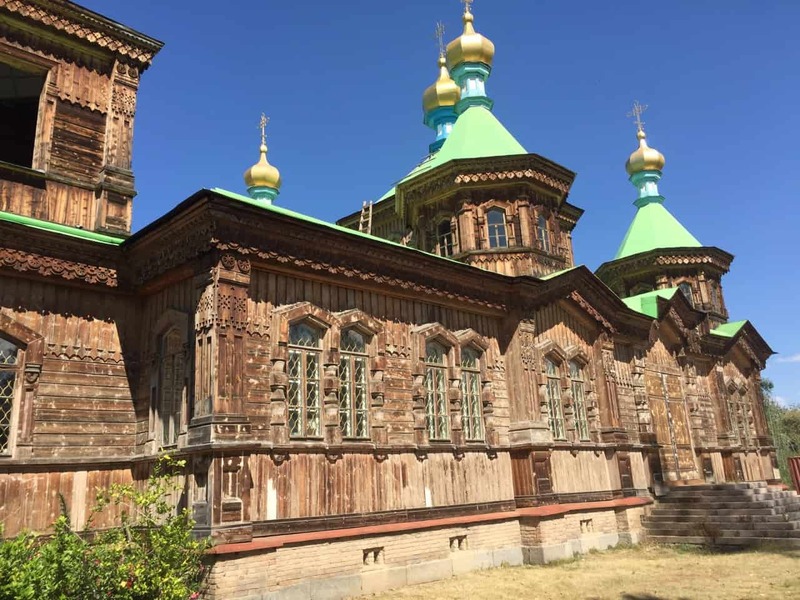 It is home to some 40 Orthodox churches. The Orthodox Cathedral of the Holy Trinity began life as a stone chapel in the mid-19th century to service soldiers of the Russian Empire. It was destroyed by an earthquake and rebuilt towards the end of the 1800s and became Karakol’s tallest building at the time. With the Russian Revolution and the advent of Communism, churches were confiscated and used for many other purposes – as a theater, a school and even a dance hall. By the 1950s the building was a church again and after years of neglect, restoration began and continued into the 1990s. It is made of carved wood and sits in the heart of Karakol. One of the nicest and most unique places to visit in Djerba is the Ghibra, a synagogue located in Hara Sghira. This is the oldest synagogue of Africa, built in 526 BC. Next to the temple, there is a beautiful caravanserai that has been built in the beginning of the 20th century to host pilgrims who visited the synagogue, but which is no longer used. 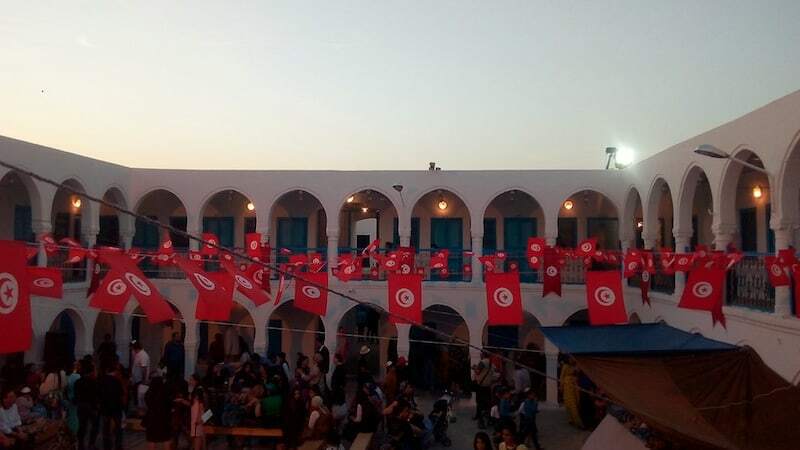 The synagogue is still in use (around 1500 Jews live in Djerba). One of the most unique celebrations there is the Lag Ba’omer, which takes place on the 33rd day after the Jewish Easter and which attracts Jewish people from the rest of the country, as well as from other places in the Mediterranean. 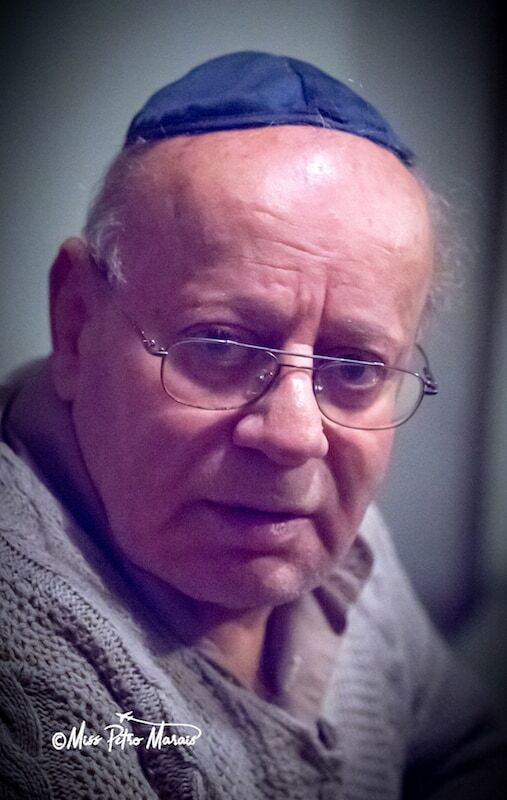 The Last Jew of Afghanistan? This one isn’t a building but a story with a bit of religious inspiration. Recently I went to Afghanistan. Whilst in Kabul my guide mentioned that he knows the last remaining Jew in Afghanistan. He offered to take us to meet him. This was such a fascinating and surreal experience. Most the Jews returned to Israel after independence but for him this is home. His children all reside in Israel. He is one of the few Afghans who are able to visit Israel and has done so over the years to visit his family. Initially, I had questions about his safety but my guide reassured me the locals are proud of their minority groups and they are included and welcomed into society. Afghanistan is hardly a tourist hotspot so meeting does definitely not feel like walking into a tourist trap. You won’t just find mosques in Muslim majority countries. You can also find churches and synagogues. I had the opportunity to visit a beautiful cathedral in Tashkent, Uzbekistan, called the Cathedral of the Assumption of the Virgin. 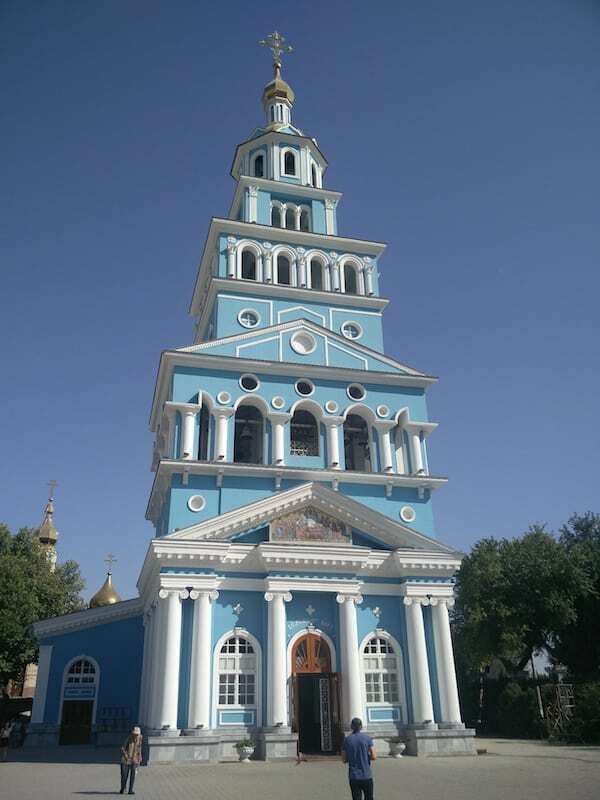 It was built in 1871, and it’s the Orthodox cathedral of the diocese of Tashkent. It’s a beautiful and well-maintained church, quite big inside although it lacks a bit of luminosity. The cathedral is one of the few buildings which “survived” the terrible earthquake in 1966. That earthquake destroyed most of the city, but the cathedral is still here. I had to ask to take a picture of the cathedral from outside. No pictures. allowed inside. 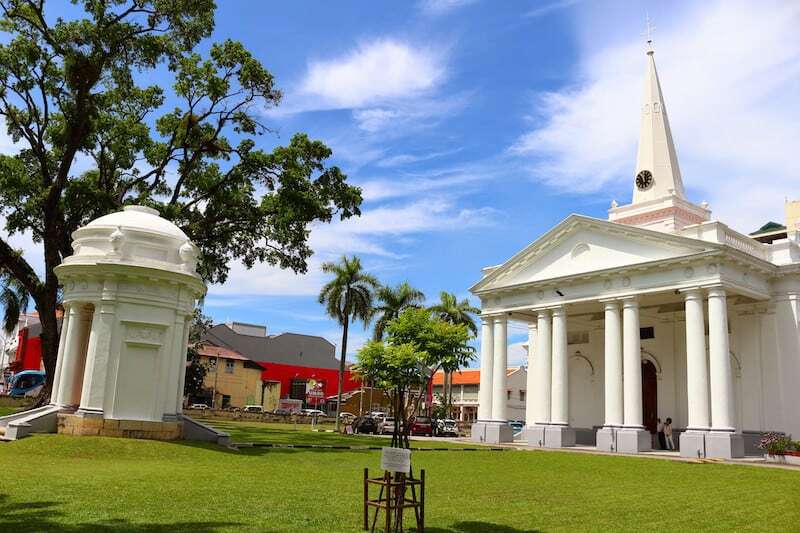 St. George’s Church was once a vision of Captain Francis Light, the founder and first governor of Prince Wales Island, which is now known as Penang Island. In the culturally diverse island of Penang, where the locals are predominantly Muslim (like everywhere in Malaysia) with only a small percentage of Christians, it is a marvel that the white-washed edifice of this grand Anglican church continues to loom over the town. 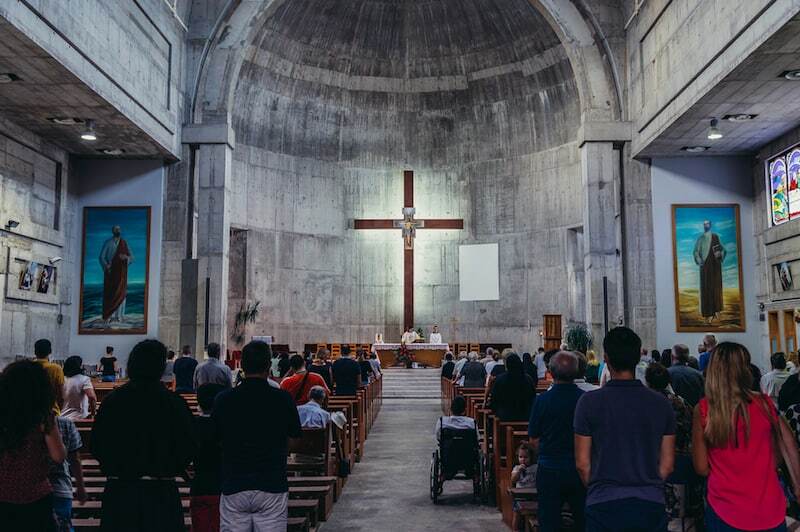 Now 200 years old, the church has survived the wears and tears of history, including the bombing of the Japanese Army and Airforce in 1941 during World War II. Brunei Darussalam is a small country on the Borneo Island. The country’s full name is Negara Brunei Darussalam which means ‘Abode of Peace’. 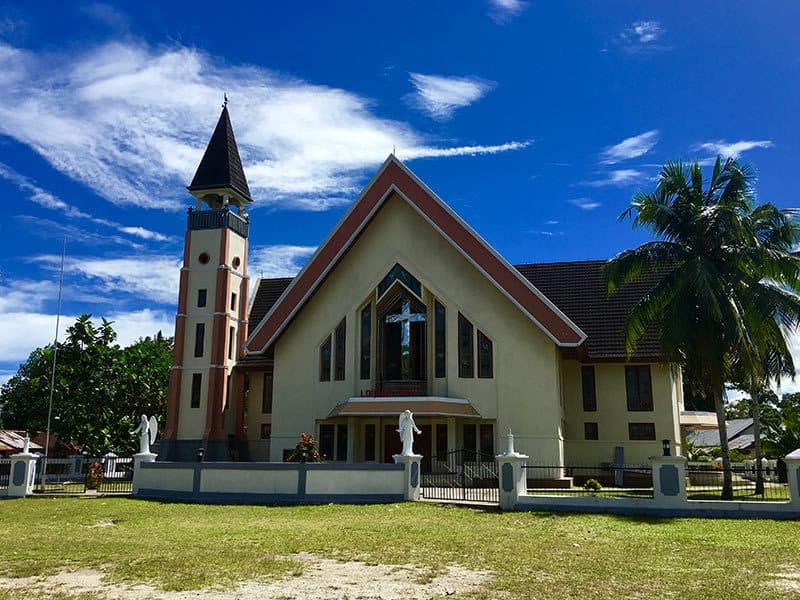 The Catholic Church of Our Lady of Immaculate Conception, fondly called as COOL by the parish community, is a beautiful church in Seria, around 100 kms away from the capital city Bandar Seri Bagwan. The church has a beautiful garden and Mother Mary’s grotto. It is a place that exudes an air of tranquility and the community is very welcoming. 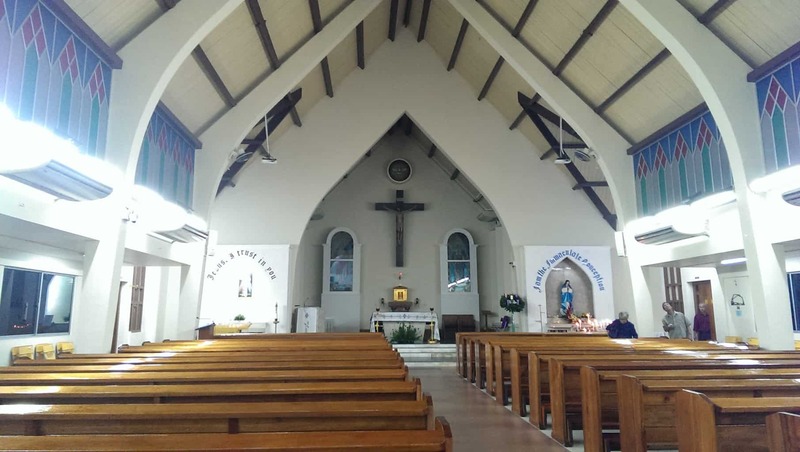 It is one among the only three Catholic churches in the country. Brunei Darussalam is one of the beautiful places to travel even though it does not encourage foreign tourists. I was living in Brunei as an expat in for over six years. Going to the Sunday Mass in the Church of Our Lady of Immaculate Conception was something I always looked forward to. Until the arrival of Islam in North Africa, Cairo was a stronghold of Christianity, and one of the first places where Christianity spread outside the Holy Land. Nowadays, the Christian population of Egypt is approximately 10/15%. There’s still a sizable number of Coptic Christians living in the Coptic Quarter, continuously inhabited by Christians since the 6th century BC. 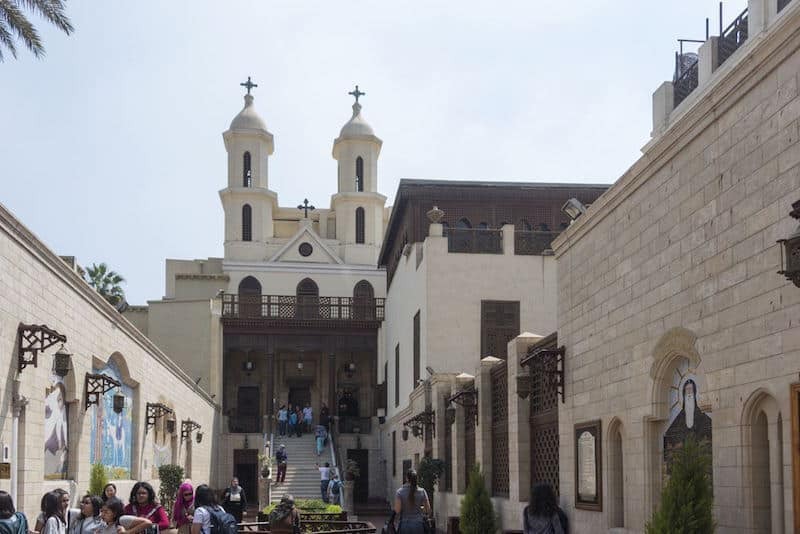 The best known landmark in Coptic Cairo is the Saint Virgin Mary’s Coptic Orthodox Church, also known as Hanging Church, because it was built atop an existing Roman fortress and as such it is ‘suspended’ from the ground. Inside, you can see the church structure clearly as part of the floor is glass. Entrance is through a small courtyard and up a flight of stairs, and inside there are some beautiful icons and a carved ebony and ivory iconostasis. Friday is usually a busy day as it is a weekend in the United Arab Emirates. One of the places that gets more crowded on this day are the Churches and one them is the Evangelical Church. The Evangelical Church Abu Dhabi is a place of worship that caters different congregations where expats though with a different culture, language and ethnicity come to this place to worship. Indians, Filipinos, Chinese and Ethiopians are the majority of the worshippers. A typical Friday here is actually beautiful when people gather. Although some congregations do services and prayer meetings on some other days. This goes to show that in a Muslim country, there is freedom to worship. It is indeed a spiritual tolerance. 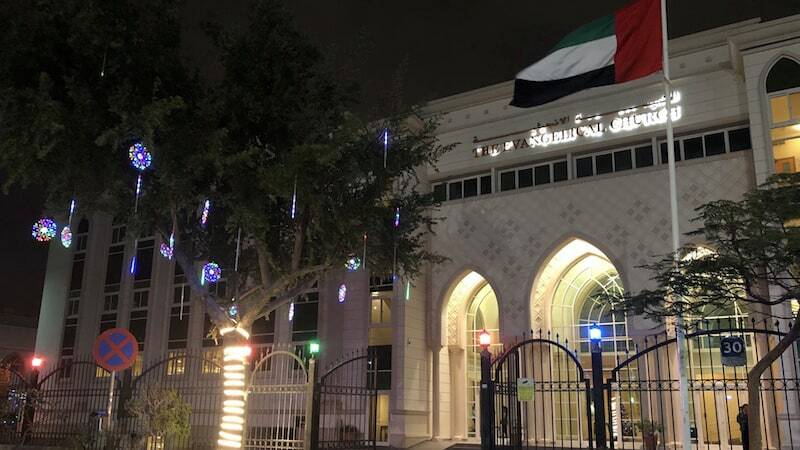 The United Arab Emirates has declared 2019 as the Year Of Tolerance. 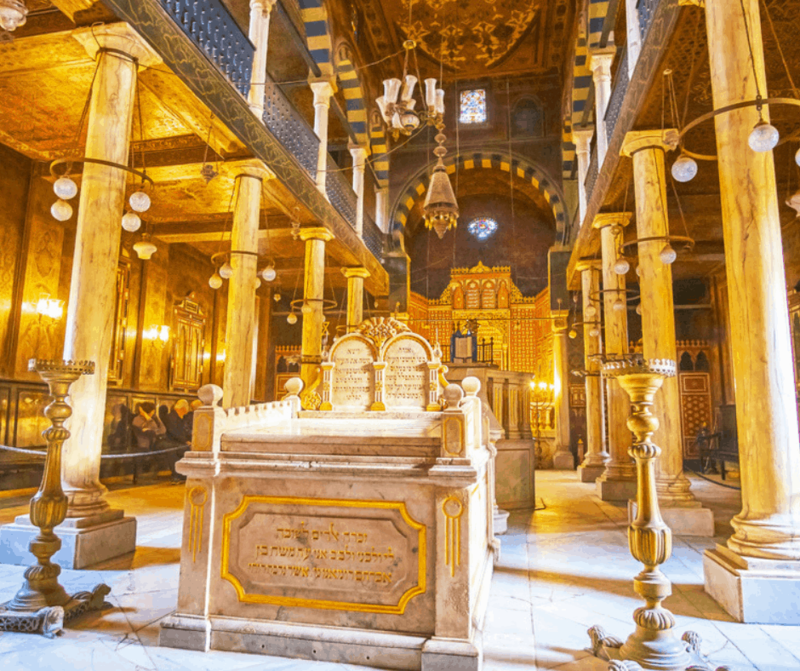 Ben Ezra synagogue, the oldest synagogue in Cairo is located just outside the walls of the intriguing Coptic enclave in Cairo and in walking distance from the famous Hanging Church. The original building was constructed around the 9th century and in the 12th century converted into a synagogue by Abraham Ben Ezra, the rabbi of Jerusalem. At that time, there was an increasingly large Jewish community in Cairo. It is a beautiful place with stone floors, a wood-carved ceiling, and hanging chandeliers. Its history is fascinating: two hundred fifty thousand ancient manuscripts and scrolls were uncovered in a hidden ‘genizah’ storeroom in the synagogue, which has provided much information about the life of the Jewish community. Legend has it also the place where the baby Moses was found on the Nile, and where Mary got water to wash Jesus. 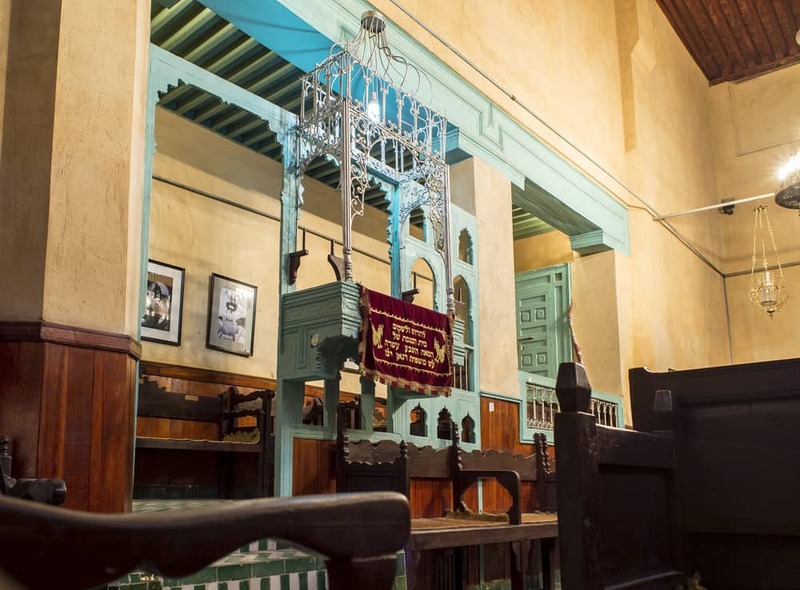 During my visit, there were some visitors praying, but these days Ben Ezra is more of a tourist attraction and a reminder of a lost era, than a functioning synagogue. This synagogue is from the 17th century and was once only one of many synagogues found in Fez. It is a privately owned house of worship and was restored in the late 1990’s after almost falling into complete disrepair. Fez has a long history with the Jewish community and many of the first settlers in the 8th century were of Jewish heritage. Later waves of immigration came to the region from Andalusia during the Inquisition. 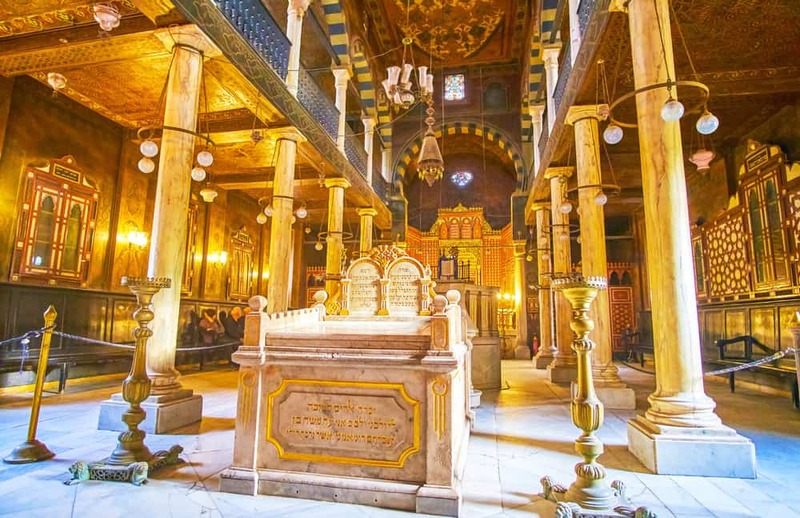 While there has always been rocky relationships of the Jewish community in Morocco – depending on the ruler, the Jewish heritage of the country is an important part of the country’s fabric and the current king is actively investing money and resources to restore sites of Jewish heritage. His grandfather famously defended and protected the Jews of Morocco from the Vichy government during World War II and Moroccan Jews were not targeted. Malaysia is a Muslim-majority country that’s open-hearted and minded towards other religions. 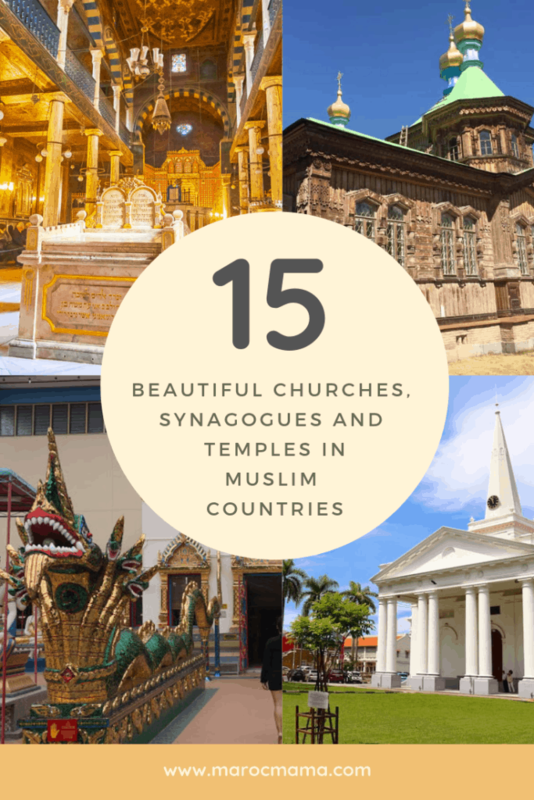 Throughout the mainland and islands, you can find Buddhist temples, Chinese Taoist temples, and the occasional Christian church nearby gorgeous Muslim mosques. In fact, Southeast Asia has more people who follow the faith of Islam than anywhere else in the world. My favorite Buddhist temple in the Muslim-majority country is the Thai-style gilded Wat Chaiyamangalaram located on the Malaysian island of Penang. The temple is located in a quiet area outside of George Town and is free to enter. Inside you’ll find many Buddhist structures including a gigantic reclining Buddha. The House of the Virgin Mary is a pilgrimage site close to the ancient Greek city of Ephesus in southwest Turkey. 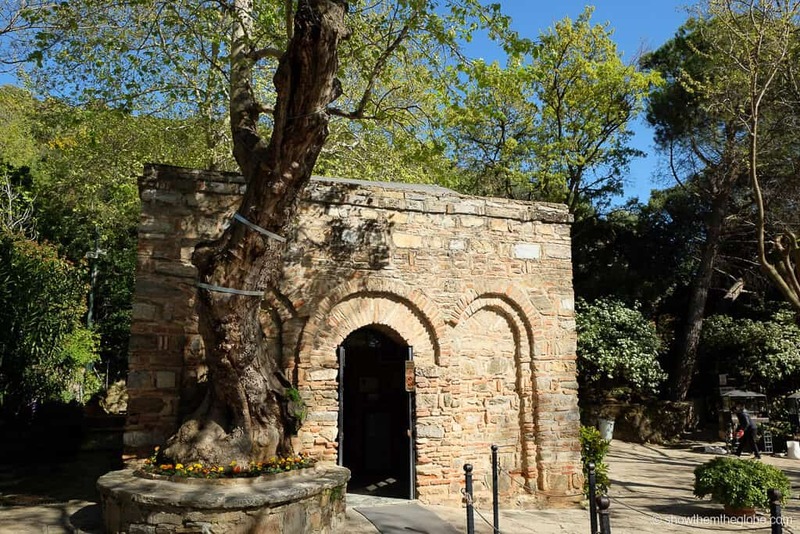 A tiny chapel now occupies what is considered to have been the house where the Mary spent her final days having been taken to Ephesus by Saint John, one of the Apostles, who came to the area to preach Christianity. The House of the Virgin Mary was declared as a place of pilgrimage for Christians in 1896 and Pope Paul VI, Pope John Paul II and Pope Benedict XVI have all made visits. Pilgrims to the church leave their offerings on tissue tied to a wishing wall and sip from a water fountain said to have miraculous qualities for healing and fertility. The site is also important to Muslims and many visit Meryem Ana. Mary, known as Meryem, is mentioned frequently in the Koran as the mother of a prophet and is considered a woman of remarkable virtue. Located in the Bosnian city of Mostar, is the Catholic Church of St. Peter and St. Paul, one of four Catholic cathedrals in the country. The church was originally built by the Ottoman Turks in 1866, but destroyed during the Balkan War in the early 1990s. The church was completely rebuilt in 2000 along with a massive 108m bell tower (also known as the Mostar Peace Tower), which is the tallest building in Mostar. The church is home to a library of over 50,000 historical books and manuscripts, the largest in Herzegovina, and artwork from the 16th and 17th centuries. It’s definitely worth a visit when exploring Mostar. Vank Cathedral in Isfahan is probably the biggest surprise of the city (or maybe even whole Iran) – at least it was from me. It was built in the mid 17th century, after many Armenians were deported during the Ottoman War and eventually welcomed in Isfahan. From the outside it looks like a typical Armenian church that you can find all over the world but, unlike many other churches, inside it hides a real gem. Armenian churches are usually dark and somehow gloomy yet Vank Cathedral is filled with jaw-dropping frescos showing scenes from the Bible. Bright colors and both Armenian and Persian motifs make it all really unique. 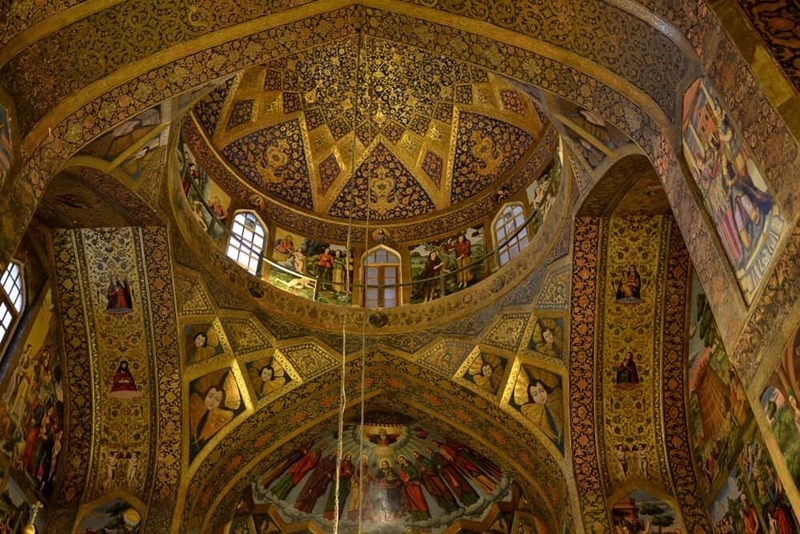 When you visit Isfahan be sure to venture a bit outside of the center and find Vank Cathedral – you won’t regret it! I am one of those people thinking that there is no freedom in other religions other than Islam in Muslim counties. I am wrong. Thank you for this very informative article. I am very glad to read this!